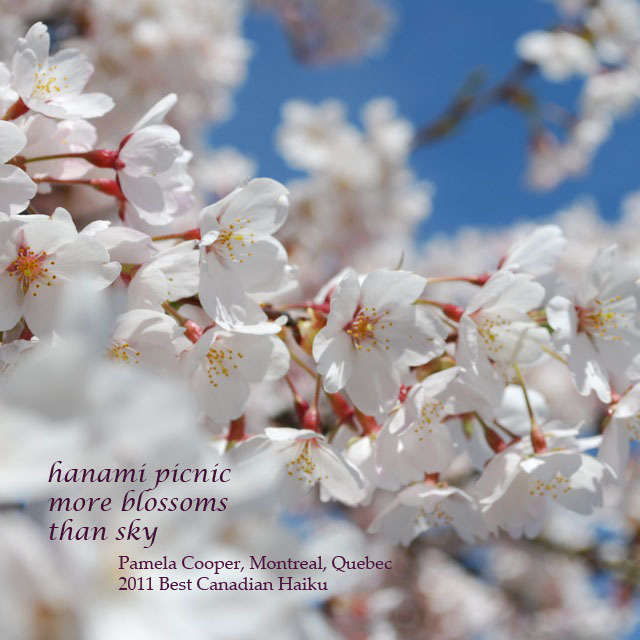 This entry was posted in Haiku, Haiku-doodle, National Poetry Month, Pamela Cooper, Vancouver Cherry Blossom Festival and tagged Haiku, National Poetry Month, Pamela Cooper, Vancouver Cherry Blossom Festival. Bookmark the permalink. 4 Responses to National Poetry Month: Guest Post #8, Pamela Cooper . . .